Frequent and high intensity workouts can deplete your body of nutrients and cause a loss of lean muscle mass. 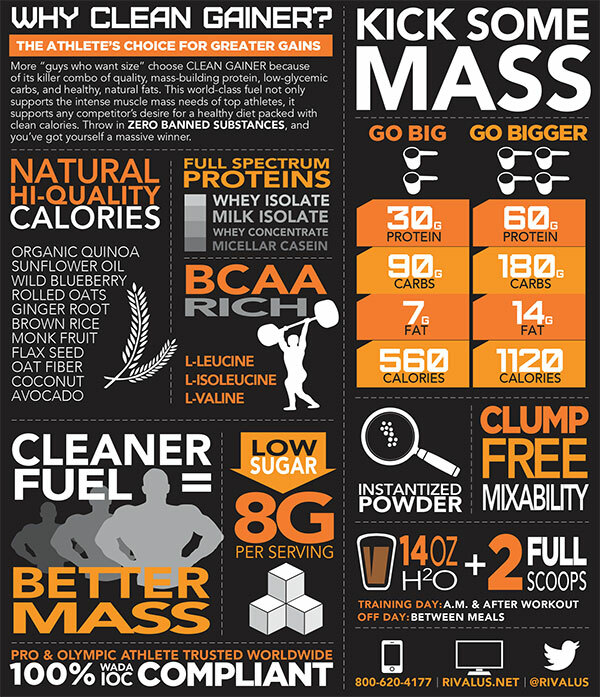 CLEAN GAINER has been formulated to provide a quality mix of protein, carbohydrates and fats to fuel athletic bodies, featuring three blends formulated specifically for athletes; our protein blend (30 grams of whey protein isolate, milk protein isolate, micellar casein and whey protein concentrate), our lipid blend (avocado, coconut, sunflower oil, and flax seed oil), and our carbohydrate blend with carbohydrates such as, (quinoa, blueberry powder, ginger powder, monk fruit, fructose, rice bran, oat fiber). Recommended Use: Mix 2 heaping scoops with 14-16 fl. Oz of cold water 2 times per day. 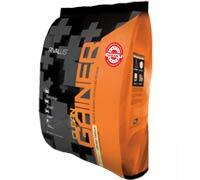 For best results use CLEAN GAINER everyday and combine with exercise 3-5 days per week. Ingredients: Clean Carbohydrate Blend (Glucose Polymers (Maltodextrin), Fructose, Organic Quinoa, Blueberry Powder, Ginger Powder, Monk Fruit, Organic Rice Bran, Oat Fiber), Clean Protein Blend (Whey Protein Concentrate, Whey Protein Isolate, Milk Protein Isolate, Micellar Casein), Clean Lipid Blend (MCTs (From Coconut), Flax Seed Powder, Avocado Powder, Sunflower Powder), Cocoa (processed with Alkali), Natural and Artificial Flavors, BCAAs (L-Leucine, L-Isoleucine, L-Valine), Salt, Guar Gum, Sucralose, Acesulfame Potassium, Stevia. CONTAINS MILK & SOY LECITHIN. (Soy Lecithin used as emulsifier). Manufactured on equipment that also processes products containing wheat, egg, peanut flavor & fish oil.